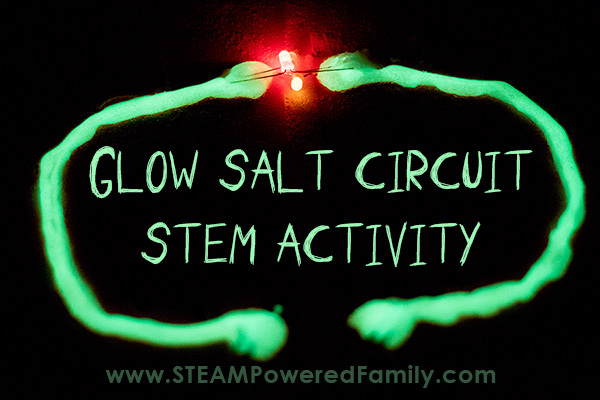 This glow salt circuit project is a fun STEAM activity that involves electrical circuits, the science of glow and art. Three of our pillars of STEAM! 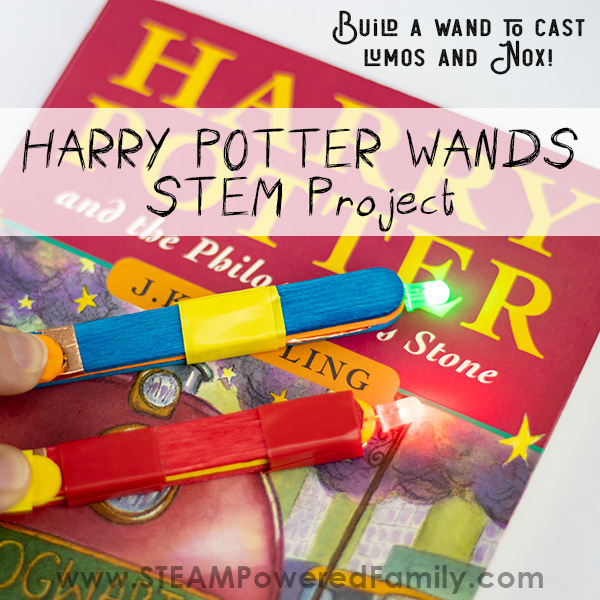 Excellent for elementary and middle grade students, this project is a HUGE hit with kids. 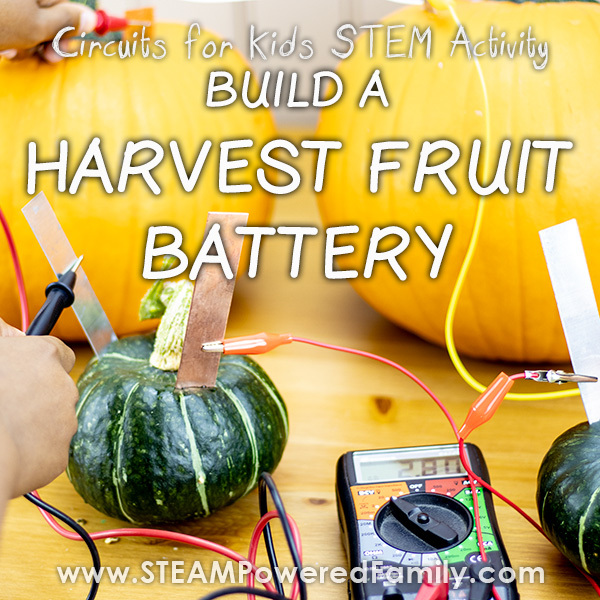 Especially in the fall as a Halloween inspired STEAM activity. My kids love building circuits. There is something incredibly satisfying about building a creation that actually lights up. It always results in squeals of delight and a great sense of accomplishment. 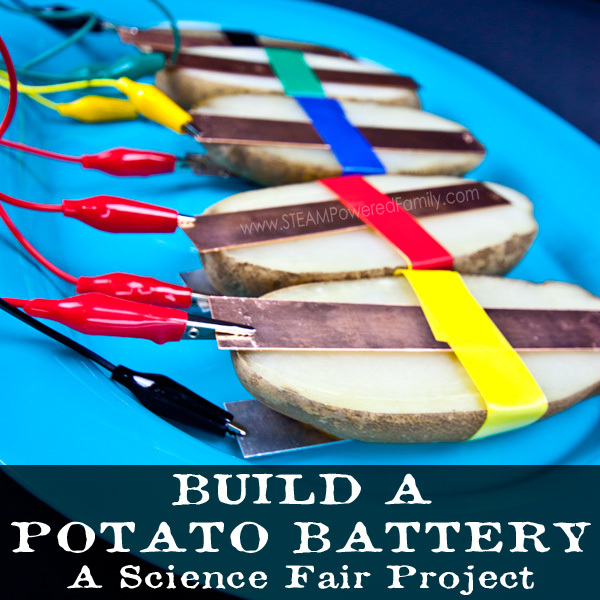 This project is also just challenging enough to really get kids using their critical thinking skills and problem solving skills to get their circuit to work. And the glow? That is just a really awesome bonus! 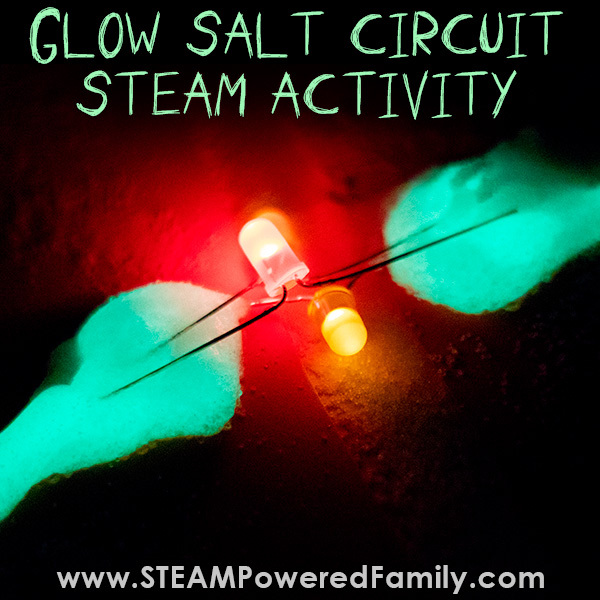 Last time we did this project, we created a rainbow salt circuit. It was absolutely beautiful and inspired by the amazing book STEAM, Play, Learn. 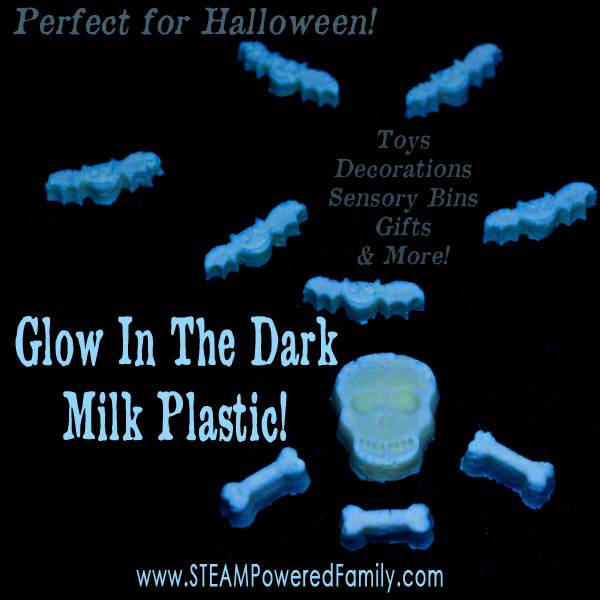 This time we wanted a bit more of a spooky and eerie feel. Start by preparing your surface by covering it with a sheet of paper, tray or plastic sheet. Things are going to get a little messy! Now test your LED and make sure it works. These little LED bulbs are known for being flaky, so always check before you start to ensure your bulb is working. Take a sheet of construction paper and cut it in half. Place it down with about 2 cm between the sheets. You can draw your design first or just free hand it with the glue bottle. The choice is yours. We went with a pumpkin design and I added eyes and a mouth in the middle with a marker. Next time I would probably add glue here so it all glows when I turn off the lights. The design must start at the bottom middle and end at the top middle. At all four end points make the glue a little extra thick. Don’t worry about making the lines to thick at this point, but you do need a nice solid line. Place the two paperclips on both of the bottom middle end points. Make sure it settles nicely into the glue. Now attach your battery pack using alligator clips. This is a great time to talk about the positive and negative terminals. See if your child can keep track of the positives and negatives to ensure they are always linking opposites. For this activity you don’t want to link positive to positive or negative to negative. 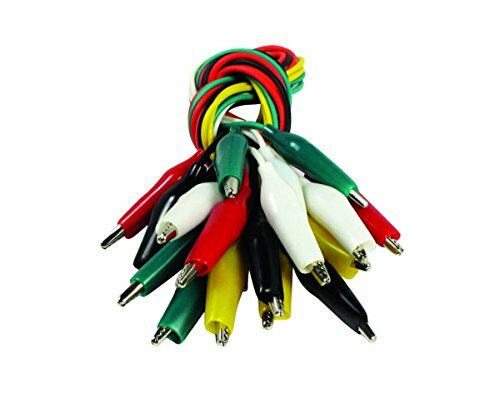 If your circuit doesn’t work, it is likely that you have your links wrong. Pro Tip! The longer leg on your LED bulb is the positive. The next step is to place your LED light bulb. Stretch the pin legs out so it is doing “the splits” then gently place so it crosses the top middle end points and each leg is nicely set in the glue. 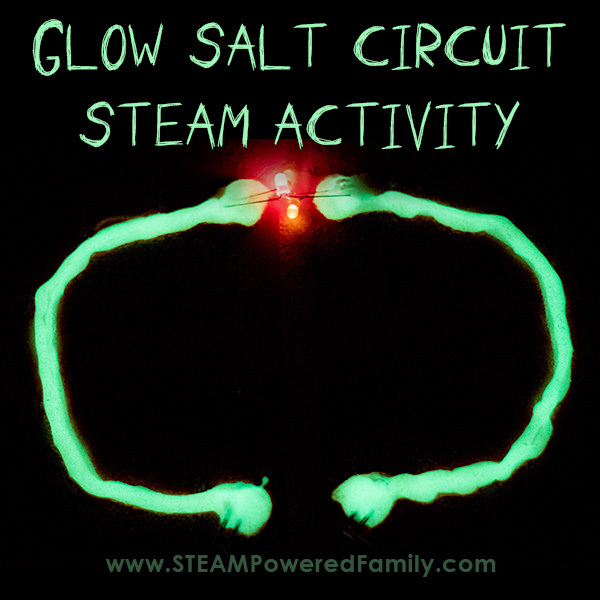 Now to power up our circuit! Sprinkle the glue liberally with salt. If it doesn’t immediately light the bulb, no worries. Take your glue bottle and add another layer of glue to thicken up your glue lines. Then sprinkle with salt again. Your bulb will light up! Pro Tip! The bulb is not really bright. Under my studio lights it was very hard to tell that it was even turning on. I had to turn off my lights to see that it was working. 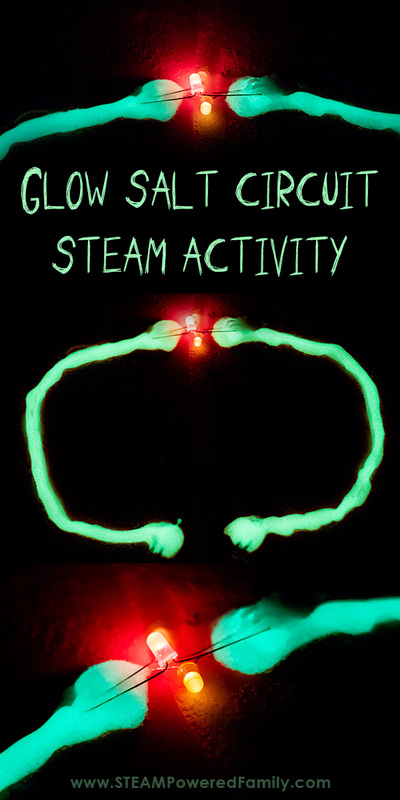 Turn off all the lights and see your circuit glowing and light bulbs turned on! We tested our circuit by adding extra light bulbs. We had 3 lights lit up! 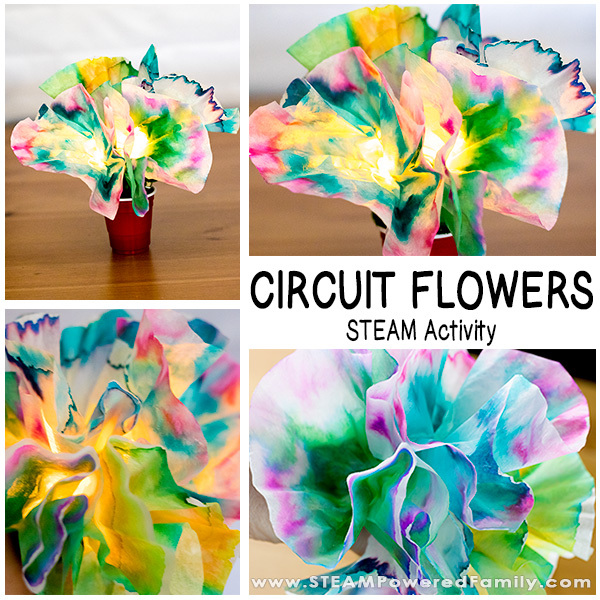 As you can see, this is a very simple and easy circuit activity. That doesn’t mean it will work without applying some problem solving and critical thinking skills. Did you confirm your light bulb and batteries work before you started? 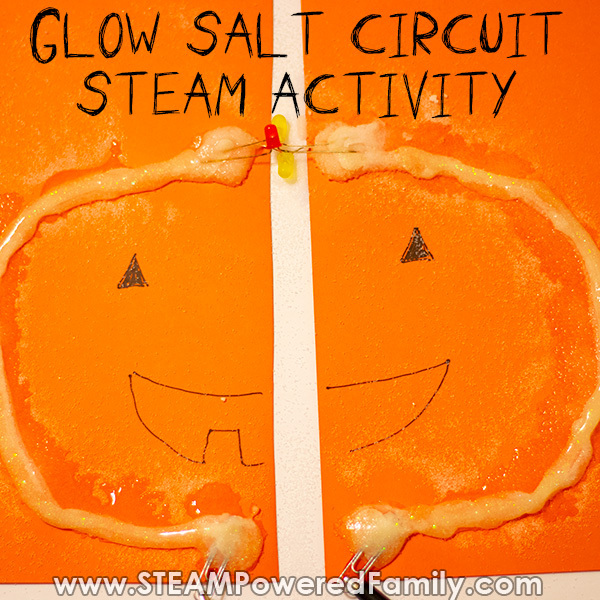 Add more glue and salt to the whole line of your circuit. Check to make sure your alligator clips are on properly. 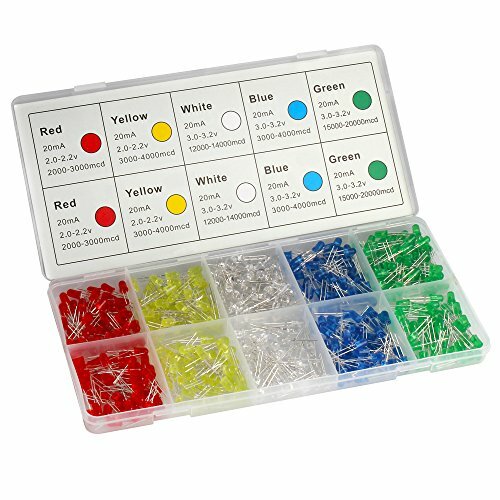 Check your LED pin legs and paperclips, ensure they are fully submersed in the glue. Is your circuit built correctly? Remember we need positive to negatives. Is your bulb in backwards? Is your glue drying? Make sure your glue is nice and wet! 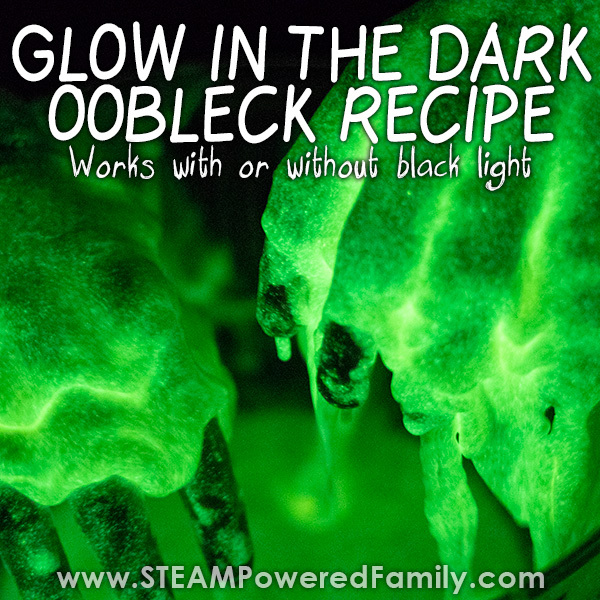 We have two types of science at work here, the science behind the glow and the science behind the electrical circuit. 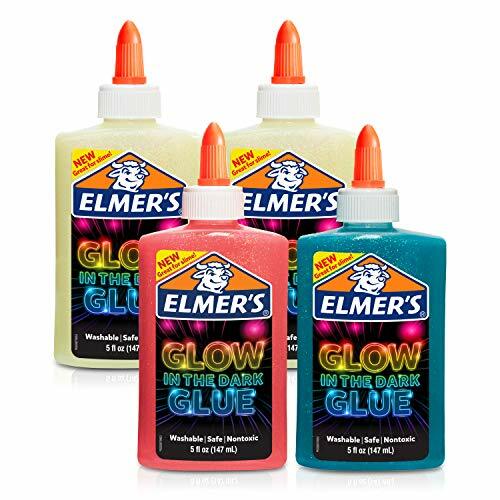 The Elmers Glow In The Dark Glue glows thanks to a process called luminescence which is caused by chemicals called luminescent phosphors in the glue. For this glow to work it needs to charge in the light. You will have the brightest glow when you first turn off the lights, then it will fade. You can “recharge” the glow simply by turning on the lights again for a minute. 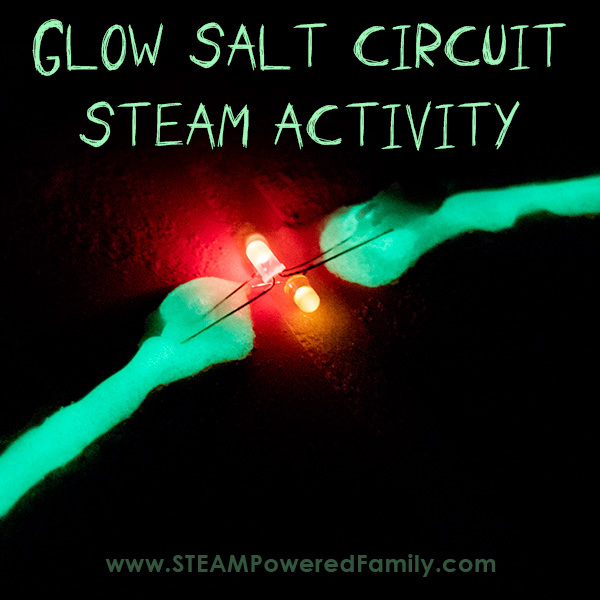 The science behind the salt electrical circuit is quite fascinating. Salt and water is very conductive. 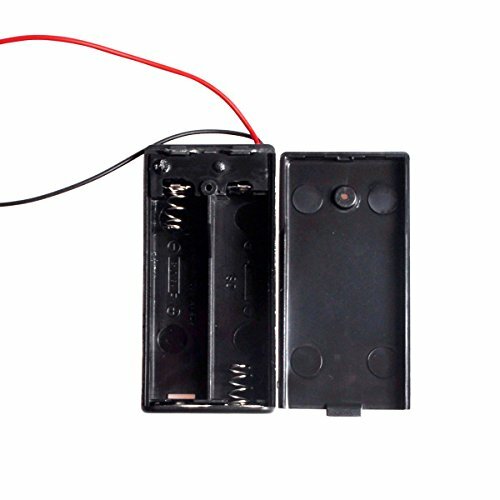 So you need to add salt to your glue (which has water in it) so the electrical current can travel from your battery pack, along your circuit, eventually turning on your LED light. The current travels from salt molecule to salt molecule, and works best if the salt is quite wet. This is why I like to place a line of glue, then add salt, then cover the salty line with another layer of glue with a bit more salt. It all helps move that current along to it’s destination – the LED! 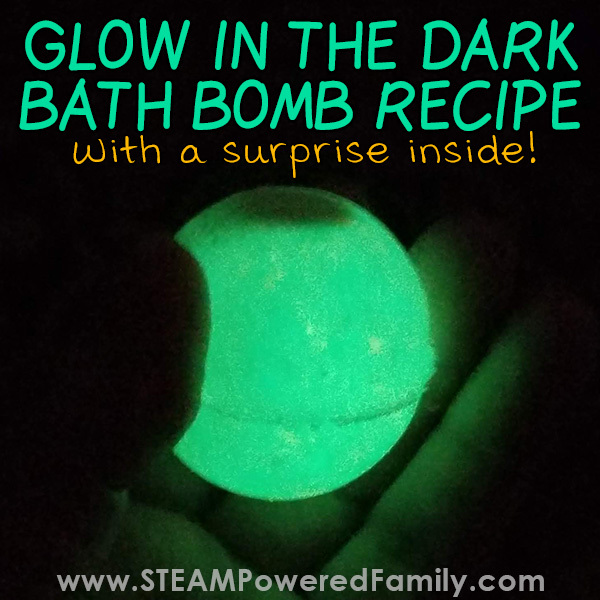 Love this idea to explore conductivity! Great pics, too!